Started off the week with a 4 mile Disneyland Half Marathon training run. Decided to run out to the Los Feliz fountain because we love its Art Deco look. We were disappointed to find that it was turned off. Maybe for drought-related water conservation measures? Ended up running past this abandoned retro gas station too. 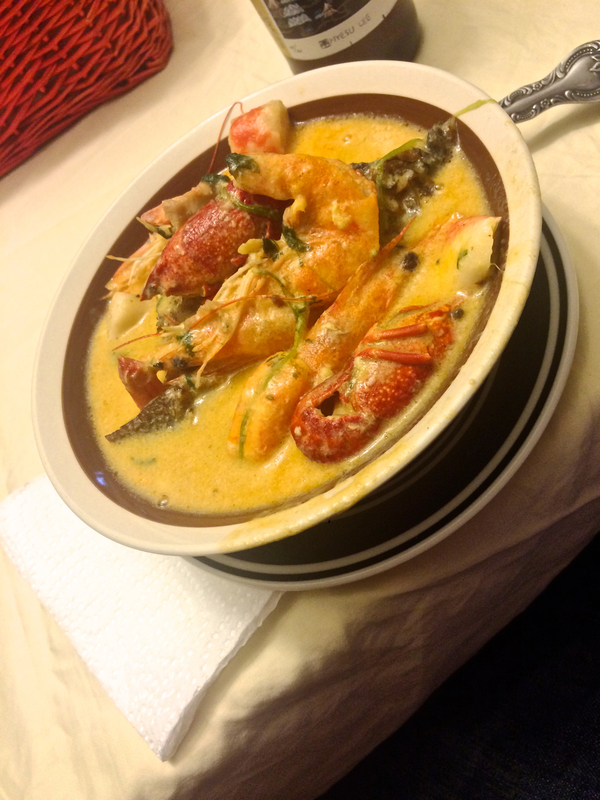 Got to enjoy some El Salvadorian seafood soup courtesy of Greg's sister-in-law's mom. Delicious! 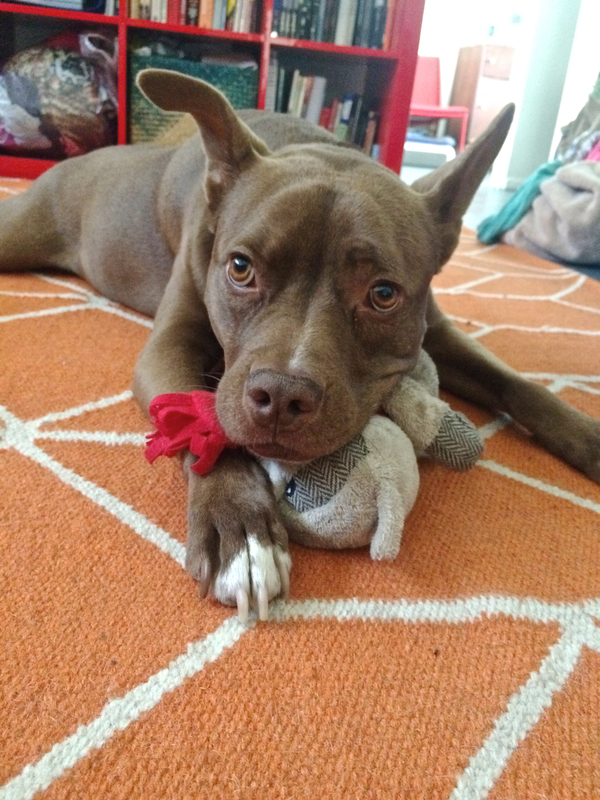 Ended up mostly working from home all week with Gatsby since the studio was way too hot to tolerate. Picked up these coconuts for Tiki Oasis to supplement our Trader Sam's and Orange Bird tumblers. This is going to be our first year venturing down to San Diego for the event and we can't wait! 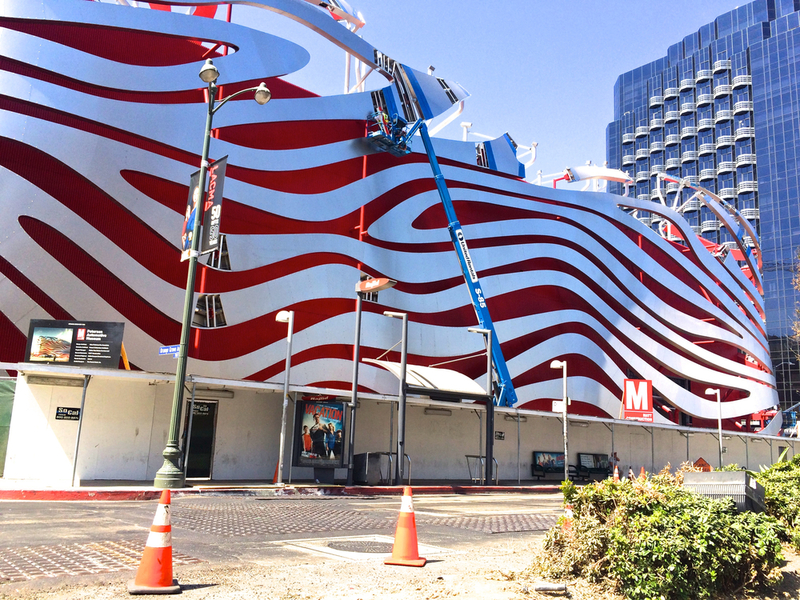 Drove past the Petersen Automotive Museum renovation on the way to meet with a client. It's looking pretty awesome! This museum is definitely one of my favorites in LA. It was great to visit when I was writing my Princeton Senior Thesis on Los Angeles's historic relationship with the car. 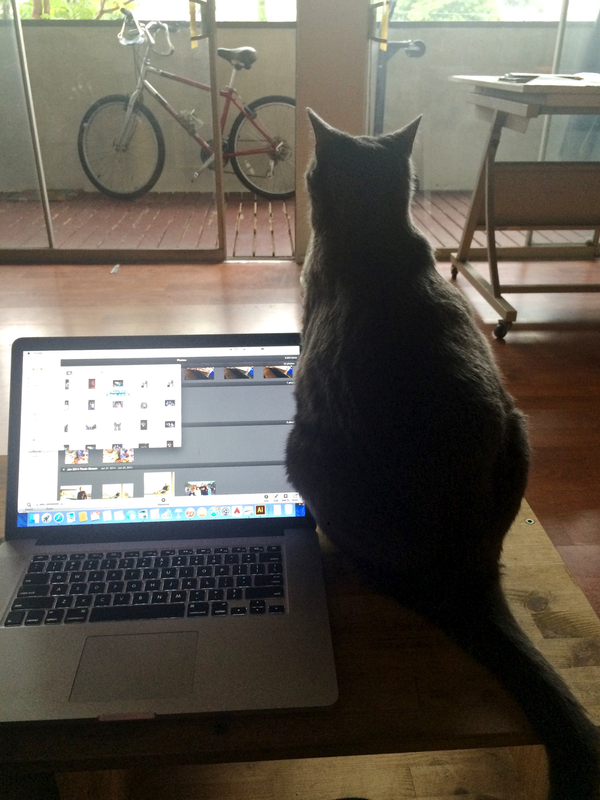 Did a little bit of cat-sitting while the cat did a little bit of sitting next to my laptop. Finally splurged on some Disney Dooney & Bourke because I've been in love with this retro parks pattern for way too long. 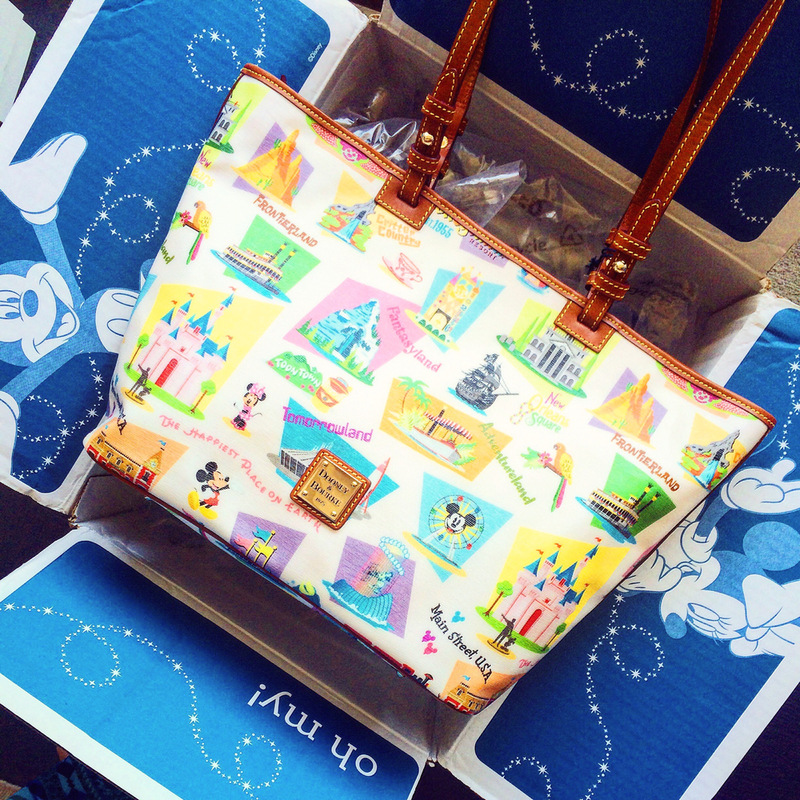 My bag arrived right on Disneyland's 60th Birthday. Can't wait to check out the Diamond Celebration this fall! After a long (and tiring) week of work, enjoyed a lazy Saturday morning with Gatsby. Got surprised by the thunderstorm that came and went periodically all day Saturday. Had to abandon our weekly Disneyland 10K training run out on the street and head to the gym instead. Ran. Slowly. Also got inspired by the Land of Nod catalog to write a Modern Tiki Baby post. Well, something else REALLY inspired me (keep reading!). Finally got to my blog post about the Renegade Craft Fair. All of my personal work got put on hold with an otherwise hectic week of client work. Still adjusting to this freelance life and struggling to create any reasonable balance/schedule! Got our pimento dram fix with some Jasper's Jamaicans (using the recipe from the Grog Log). Made us think we should try a drink that includes it for Tiki Mug Monday. 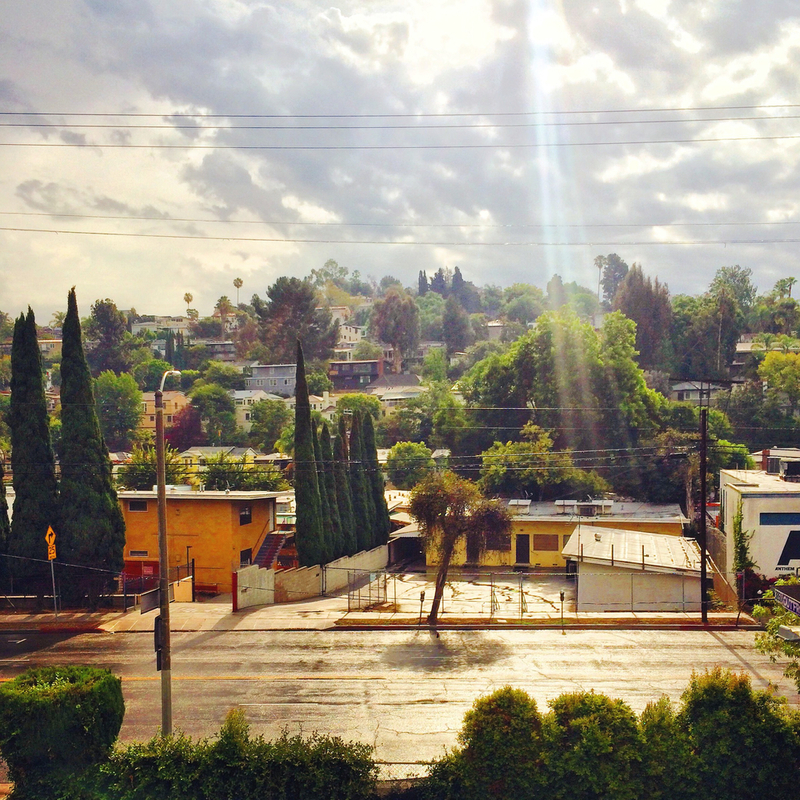 Continued to be in awe of the wacky weekend weather. ...to welcome Greg's brand new (and beautiful) niece, Juliette, home from the hospital! We just can't get enough! She's the cutest.